With Enjore PRO Club you can build your team's website easily and quickly, by managing its content and layout. Thanks to your iOS and Android Apps you can increase your fans' engagement more and more. 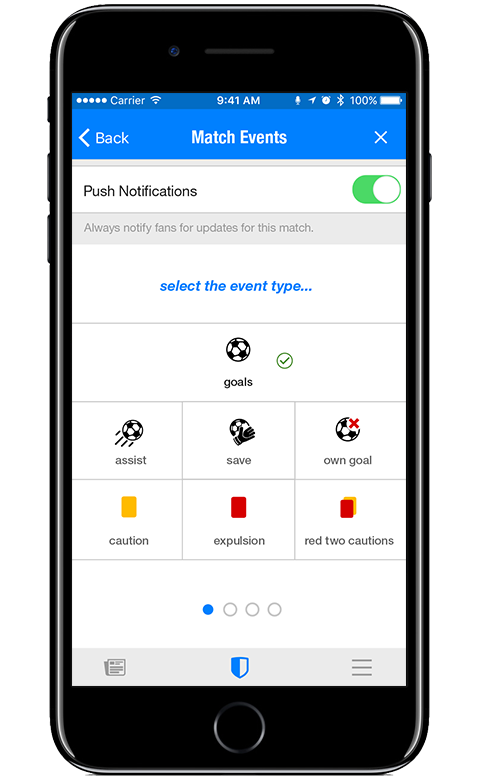 With your Apps you can update in real time your team's events and share them with your fans. 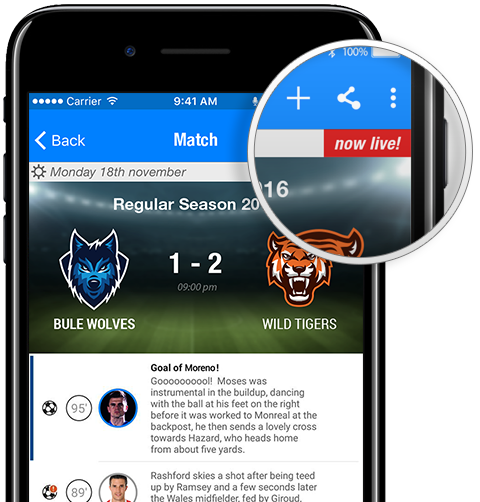 During the match, fans will receive real-time push notifications. They can comment on the players' performances and support their favourite team. Thanks to powerful sharing tools, your fans turn into the protagonists and feel more engaged in their team's activities. 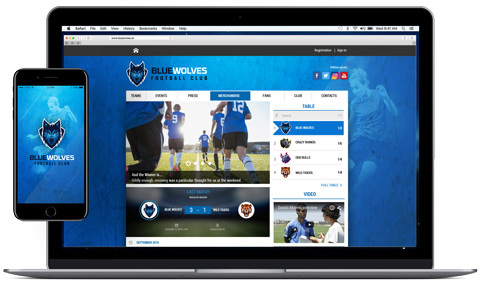 PRO Club becomes an excellent real-time marketing tool for sports clubs. Thank you for contacting us! An Enjore representative will be in touch with you asap. Error! Something went wrong. Please try again or call us at +39 080.455.0031.